Cocker spaniels in couture, tabby cats in tiaras, and pets of all shapes and sizes strut their stuff down the runway—along with celebrity pet lovers. This year’s Rags3Wags will also feature unique live and silent auction items, a delicious dinner reception, and an evening of live entertainment—all to support the homeless animals of the Austin Humane Society. Sponsorships start at $250. Individual tickets are $75. 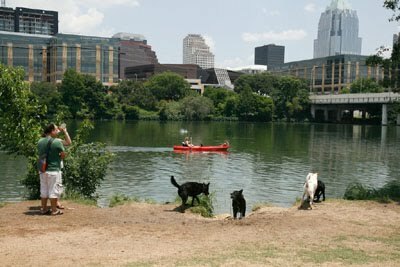 How does that money help Austin animals? Check out this video of cat and dog BFFs Reddy Boy & Mousey. In 2008, the Austin Humane Society found permanent homes for almost 2,900 dogs and cats, spayed and neutered more than 5,000 cats in the second year at its Feral Cat Spay/Neuter Clinic and found foster homes for almost 1,100 dogs and cats.